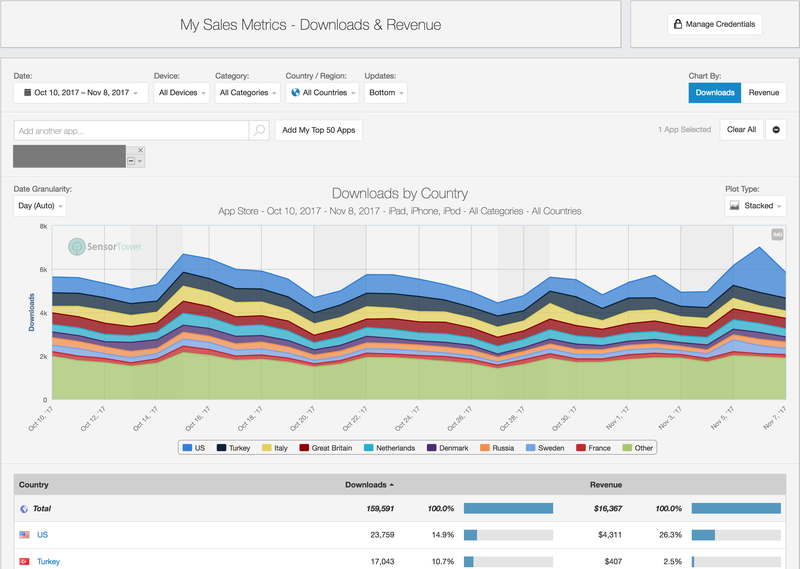 My Sales Metrics lets you effortlessly view downloads and revenue data for your own apps. You can visualize this data by country, publisher, device, and app. Simply switch between these criteria in the left-hand navigation. This feature is available for both iTunes Connect and Google Play Developer accounts.